Catherine Smith is the Human Resources Director for IBM Middle East and Africa, responsible for the delivery of HR services. In this role, Cathy leads a team of HR Partners and Country HR Managers which focuses on people solutions to ensure that the business delivers on its strategies. Cathy has been with IBM for 18 years. During her tenure she has had many roles, including Application Development Manager, Project Manager and Service Delivery Executive. 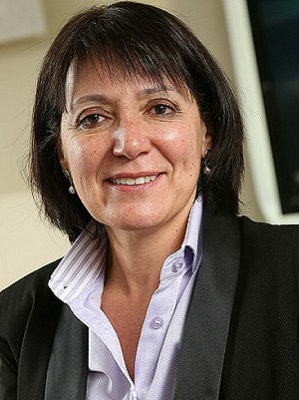 Part of Cathy’s career at IBM was a 3-year assignment in the United Kingdom, where Cathy held various European and Global roles in the Services business. Cathy reports to the Vice President of the Regional HR Partner Organization and holds a position as director on the board of IBM South Africa. On a personal front, Cathy is married with two daughters. She enjoys travelling, meeting new people and learning about different cultures. She is a Fellow of the seventh class of the Africa Leadership Initiative-South Africa and a member of the Aspen Global Leadership Network.